NEENAH, Wisconsin USA - Sirius Rocketry is proud to announce the immediate availability of its latest kit, the Deimos - Mars Exploration Vehicle. 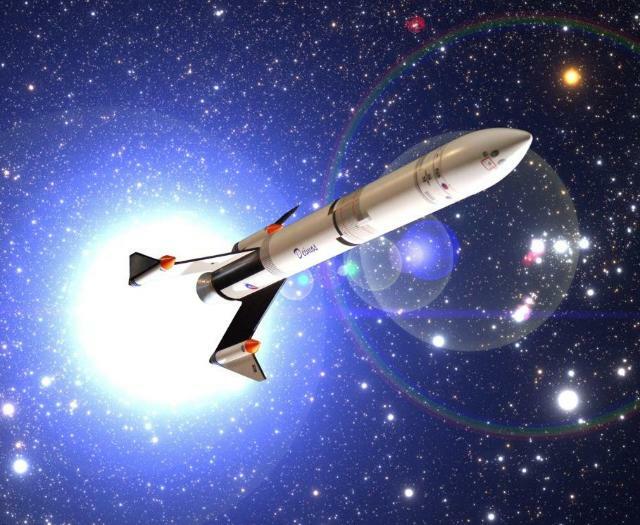 The new Deimos is the latest addition to the Sirius Rocketry line of futuristic mid-power model rocket kits. The Deimos is a beautiful model of a futuristic exploration craft. The skill level 2 kit features multiple balsa nose and pod cones, a simulated rocket nozzle, swept-back-forward fins, rugged heavy-wall body tube and realistic full-color waterslide decals. With its large size (almost three feet tall) the Deimos is a great demonstration rocket, featuring slow liftoffs and graceful flights. With a heavy-wall 24mm motor mount, the Deimos will accommodate a number of larger 24mm motors and reloads from D to F impulse. The large 24" parachute will bring the Deimos gently down to earth again. Heavy-wall body and motor tubes that stand up to higher impulse flights. Precision laser-cut hard balsa fins and plywood centering rings. Two full-color decal sheets make this another Sirius Rocketry signature kit and a stunning model. Durable Kevlar(tm) shock cord mount and generous elastic shock cord to soften the stress of deployment. 24" parachute for gentle recovery. A detailed 12-page instruction manual that Sirius Rocketry is famous for, which includes clear step-by-step illustrations as well as trademark Sirius Rocketry suggestions and tips that help you make the most of your build. 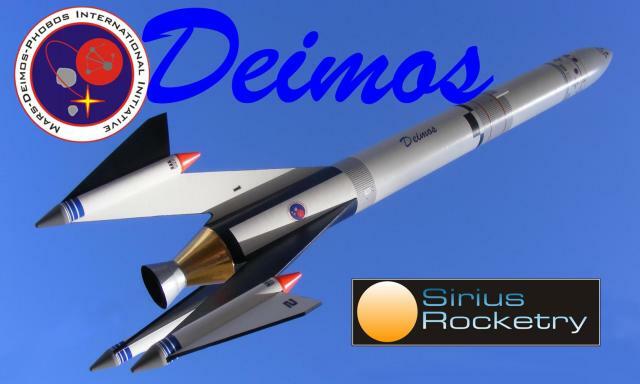 The Deimos is available now at an introductory price of $54.95 at http://www.siriusrocketry.com. Since 1998, Sirius Rocketry has made hobby rocketry kits in the U.S.A. with the highest quality and attention to detail. Sirius Rocketry kits are available exclusively through the Sirius Rocketry website and through select worldwide retailers. Sirius Rocketry also carries hundreds of other products including a wide range of motors at their secure online web store. For more information, visit our website at http://www.siriusrocketry.com.